The old railroad depot in Orme, Tenn.
Those wanting to take trip to a little known corner of Marion County to see the fall color change should consider driving to Russell Cave National Monument and then going four miles north on Alabama County Roads 75 and 98 to the little community of Orme, just over the Alabama-Tennessee state line. They will discover an old wood frame railroad depot (but no railroad) and a rustic sign proclaiming itself " Orme," which more than a century ago was the base of extensive coal mining operations. Orme lies in Doran's Cove, a narrow valley surrounded on the north, east and west by the Cumberland Plateau. A town once known as Needmore sprang up in the early 1890s with the discovery of coal in the surrounding plateau. Mining operations were slow to develop because of the area's remote location and lack of adequate transportation. In the late 1890s, Chattanooga businessman Frederick Gates bought the Needmore mining operations and urged the Nashville, Chattanooga and St. Louis Railway to build a branch line into the valley. The railroad expressed initial concern over the feasibility of mining and transporting the coal but agreed to build a branch line into Doran's Cove in 1902. Gates sold Needmore in 1905 to Richard Orme Campbell, who renamed the operation the Campbell Coal and Coke Co., and the little town Orme, the maiden name of Campbell's mother, Virginia Orme. To support the mining operations, Campbell built a commissary, an office building, workers, cottages, schools and a hotel. Beginning with a mining staff of about 125, the town grew to have several thousand residents. The discovery of coal in the surrounding mountains turned what had been a quiet area with a few farmers into a boom town. 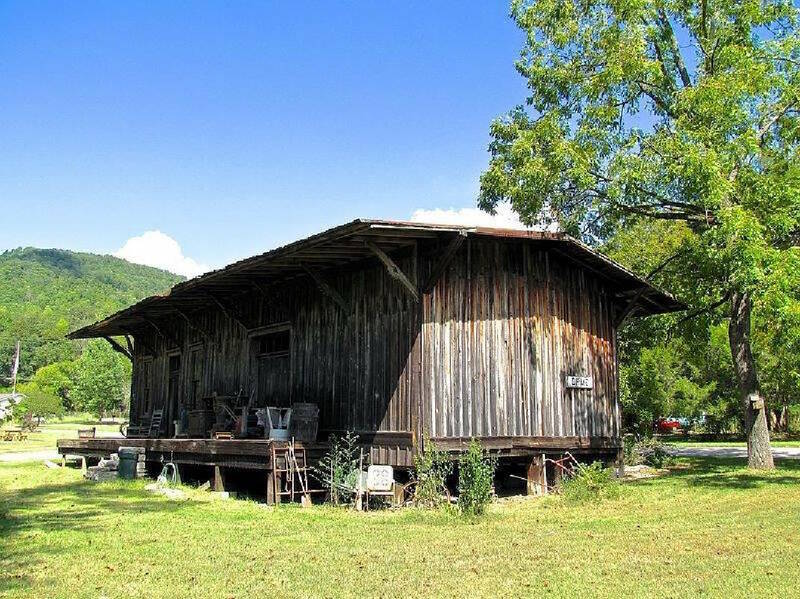 Before the coal boom, the children of the farmers attended a small one-room schoolhouse, which straddled the Alabama-Tennessee state line, and used schoolbooks from their respective states. Campbell sold the Orme operation in 1905, and the new owners renamed the company, Battle Creek Coal and Coke Co. By 1912 the operation consisted of four drift mines reaching high up the walls of the Cumberland Plateau. Mule-drawn rail cars carried the mined coal to the mine entrances, where it was transferred to a locomotive and then moved to upper and lower tipples. At its height the mining operation shipped 1,000 tons of coal per day out of the valley. The operation, known for its "good coal, inaccessibility, irregular stratification, and consequently difficult mining," was thought to have the best veins in the Sequatchie Valley. Over the years, mining accidents, which sometimes occurred in the industry, took the lives of several miners and injured dozens more. Workers struck in in 1939, about the same time veins of easily mined coal became depleted. The company shut down major mining operations in 1941. The railroads pulled up the train tracks and gave the metal to the World War II effort. Small-scale mining continued with trucks hauling the coal to the Penn-Dixie cement plant at Richard City, Tenn., and later to TVA's Widows Creek Steam Plant at Bridgeport, Ala. The hotel closed in 1945, the school 1961 and the post office 1970. In 2007, Orme was one of the hardest hit communities in the drought-ridden southeastern U.S. because of its dependence on two vulnerable water sources, a waterfall-fed creek and a natural spring whose output dwindled from 60,000 to 5,000 gallons per day, not enough to pressurize the supply lines to the town's residents. A temporary solution came when a truck hauled water to the town to keep the system running for three hours each evening. A permanent solution came with a 2.5-mile connection to the municipal system of the nearby town of Bridgeport. Many of the buildings erected during the mining heyday have been demolished, and the surviving train depot (along with a few dozen houses and a city hall/community center) stands as a silent sentinel. Orme's population in the 2010 U.S. Census of 126 returned to the approximate levels of more than a century ago. Children are bused to South Pittsburg for school. The mail is routed through the same city. Venturesome drivers can reach Orme on a gravel road descending from Tennessee State Route 156 atop the Cumberland Plateau near Sewanee and sample the fall colors on the northern approach. Jerry Summers is an attorney with Summers, Rodgers and Rufolo. Frank "Mickey" Robbins, an investment adviser with Patten and Patten, contributed to this article. For more visit chattahistoricalassoc.org.